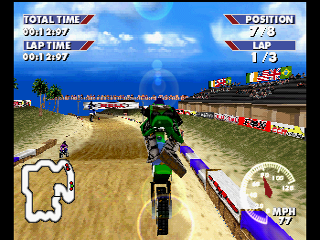 Championship Motocross - featuring Ricky Carmichael is a motocross racing game. You will be able to select different bikes that all have different stats. You will also race on many tracks that feature many different types of terrain. You can modify your bike's stats to better suit it for the track you are about to race on. 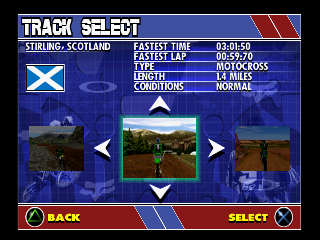 There many game modes you can play, such as single race, championship and time trial. 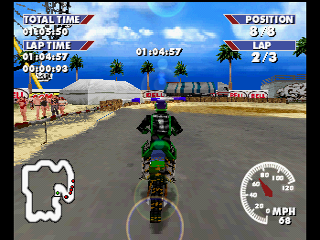 Playing championship you will unlock more tracks and bikes. 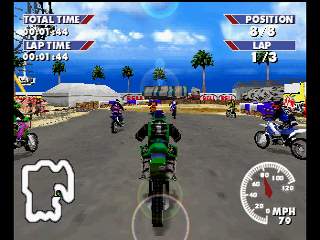 You can also perform tricks on your bike by pressing the O and directional buttons. The game also features a hard rock soundtrack by different rock bands. 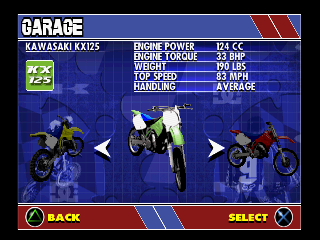 If you enjoy motorcross, this game is for you. Now you can add videos, screenshots, or other images (cover scans, disc scans, etc.) 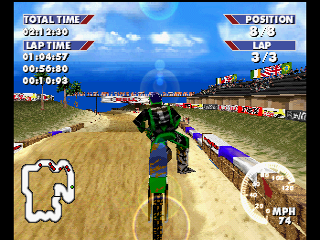 for Championship Motocross - featuring Ricky Carmichael [U] to Emuparadise. Do it now! If you haven't noticed yet, we have a retro game of the day feature (top-right of the screen) wherein we feature a new retro title every single day! Now, you can vote for your favorite games and allow them to have their moment of glory. 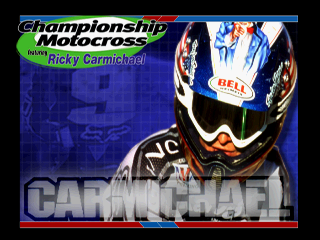 Click on the button below to nominate Championship Motocross - featuring Ricky Carmichael [U] for Retro Game of the Day.